Giving divorced and separated fathers stronger rights could be 'dangerous', Justice secretary Ken Clarke has said. Under plans unveiled by the Government on Monday, the law would be changed to stress the importance of children having contact with both parents. Similar changes in Australia led to delays in resolving custody disputes, Mr Clarke cautioned, adding that there were "dangers" associated with doing so. The move, confirming a report in Friday's The Daily Telegraph, will mean that children are for the first time to be given the legal right to have a proper relationship with both their parents after a divorce. stops short of the guarantee of equal access demanded by some fathers' rights groups. 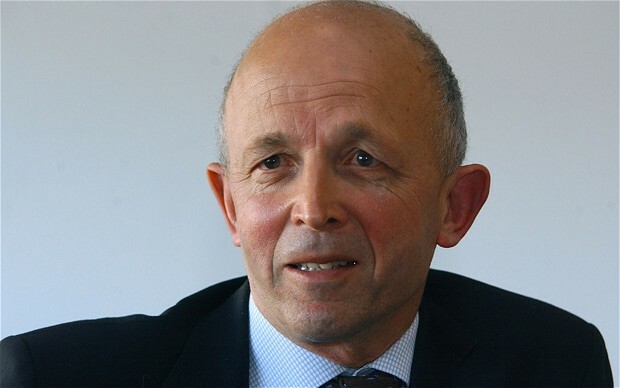 But it contradicts one of the main findings of the family justice review by former Whitehall mandarin David Norgrove. The decision overturns the main finding of the independent family justice by David Norgrove, which reported in November. Mr Norgrove criticised the plans, insisting that his review had “concluded that the law should not be changed”. Mr Clarke told BBC Radio 4's Today programme: "We are stating what I think is the view of most people which is that both parents have responsibilities and rights towards their children and the children are entitled to try and maintain contact with both parents if it's at all possible. "What we are doing is going to state that principle in the law, because there are far too many people who think it's not being applied - although I do think the courts do apply it and try to apply it in most cases. "But we are also going to have to draft what we do to avoid all the undoubted dangers in Australia which caused David Norgrove and his colleagues to be hesitant. "We want to put back confidence, the courts will have proper regard to the position of fathers and the right of the child to have contact with the father, but of course in the end the interests of the child must be uppermost and it isn't always possible." In a written statement to MPs this morning, Mr Clarke insisted the courts would still decide whether contact was "safe and in the child's best interests". The new legislation will also make clear that a "meaningful relationship is not about equal division of time, but the quality of parenting received by the child", he added. Mr Norgrove had originally proposed a right to equal access in law for both parents last March and then dropped it from his final 220-page report in November. He said it would put too much pressure on judges to set out the exact length of time that each divorced parent should spend with their children. Mr Norgrove cited evidence from Australia which suggested children suffered more when courts imposed time limits on access to parents. A working group - education ministers Tim Loughton and Sarah Teather, and justice minister Jonathan Djanogly - will come up with proposals within two months. Mr Loughton told The Daily Telegraph last week that Mr Norgrove had read too much into the Australian example. He said: “The concept of ‘shared parenting’ after a break-up often gets confused with the idea of equal time that a child spends with each parent. According to the Office for National Statistics, one in three children, equivalent to 3.8million, lives without their father. Ministers are particularly concerned about boys growing up without a strong male influence. Eight per cent of single parents in Britain are fathers. "education ministers", a very scary prospect.